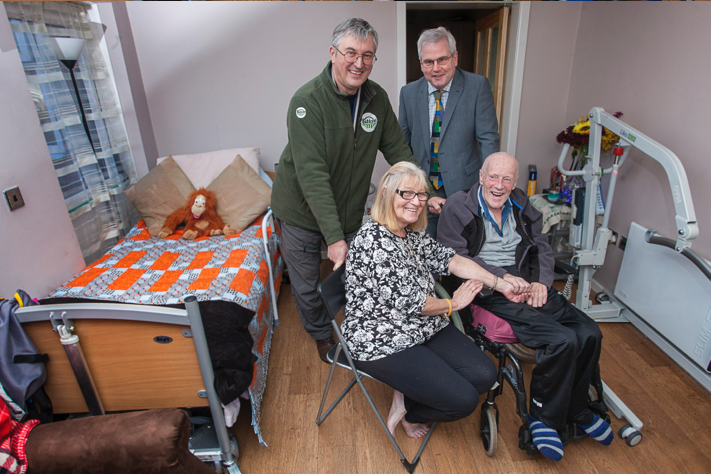 A former postman struck down by motor neurone disease has been helped to stay in his home, thanks to their local MP and Flintshire building firm Rubicon Garden Rooms. Ray Gudger from Mancot has extremely limited movement due to the debilitating disease that attacks his muscles - the same as the one that affects Professor Stephen Hawking - and uses a ventilator every night to keep him breathing. His wife Josie could no longer safely get the 68-year-old upstairs at their family home, a three-bed semi owned by Flintshire Council. Instead the couple faced having to turn the lounge into his bedroom - leaving just the small kitchen free as living space - or moving to another property on the far side of the county. After turning to Alyn and Deeside MP Mark Tami for help, Ray and Josie were able to use a Welsh Assembly grant to have an extension built by Rubicon Garden Rooms, based on Deeside near Chester. More often used for Garden Offices, Sun Rooms, Music Studios and Teenage Dens, Rubicon’s zero-maintenance modular buildings are manufactured at its factory in Queensferry and quickly installed. They are made from a wood fibre composite material devised by founder John Lyon, who was inspired by his 20 years as an engineer at Airbus. Josie said: “Rubicon’s extension been fantastic, and it has really changed Ray’s life. It’s very warm as it’s fully insulated, light and comfortable - it is easy to look after. “We can get Ray in and out of bed and into his wheelchair much more easily, and it means that he has somewhere to go that’s his, for some quiet time. Rubicon Managing Director John Lyon was delighted to be able to help Ray and Josie have the extension fitted to their home. “The building is factory built and made into pre-fabricated pieces, so they slot together very easily and quickly. Also, as it is classed as a temporary construction that can be taken away, it often doesn’t need planning permission and so is popular with people who need extra space very quickly at an economic price. “We are more used to installing our buildings in people’s gardens as an annexe for an older family member, or to create a bespoke Home Office, Music Room or Craft Studio or a den for teenagers. “Following 2 years of development, we launched our range of zero-maintenance buildings in 2013 and we have now developed products to suit most budgets with modern, double-glazed windows and full insulation. Alyn and Deeside MP Mark Tami said: “People don’t always realise that they can extend their home when a situation like this happens. “We had been looking forward to a happy and long retirement together - Ray was very active, he went sailing, walked our collies, and was generally always doing something. He used to walk miles as a postman every day and couldn’t understand why he couldn’t lift his foot,” said Josie. “It was devastating when the specialist said it was motor neurone disease, which affects nerves in the brain and spinal cord. Within a short time Ray was using two sticks to talk with, then crutches, and then a motor scooter. There is no cure, it’s a case of managing the situation. “The extension is very well made and went up quickly, and has changed our life. It means Ray has somewhere to sit, and we haven’t lost our lounge. When our three grandchildren come round, they love to go into his room and see him. Councillor Helen Brown, Flintshire County Council Cabinet Member for Housing said: ”The council strives to be a high quality landlord, seeking to meet the needs and expectations of all its customers. As part of this commitment we continue to seek creative and cost effective ways to provide for our disabled customers. "One of our tenants required access to ground floor facilities, including a bedroom and bathroom. This need was urgent, so instead of a traditional build, which would be highly disruptive to the tenant, we approached Rubicon Garden Rooms based in Flintshire who provided a high quality Garden Room attached to the property, which has the potential to be reused elsewhere in the future. "We were delighted that Rubicon were able to quickly provide this essential modification to the property that met the council's rigorous standards for such work." 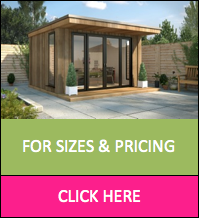 Rubicon Garden Rooms has more than 10 years of experience in the building industry, and specialises in the manufacture and installation of Garden Buildings to create Garden Rooms, Garden Offices, Home Annexes for older relatives and teenagers, Music Studios, and Leisure Buildings. Fully insulated, its hi-tech wood fibre composites simulate wood, whilst other products simulate stone and slate in order to enhance comfort, zero-maintenance and aesthetic appeal.